Thankfully, the days of questionable bridesmaid dresses are behind us. Gone are the puffy shoulders, frou-frou skirts, and unnecessary embellishments. Instead, we have a plethora of designers and labels creating elegant, refined, and beautiful dresses that your maids will actually want to wear again. So what kind of styles should you be looking for in 2016? 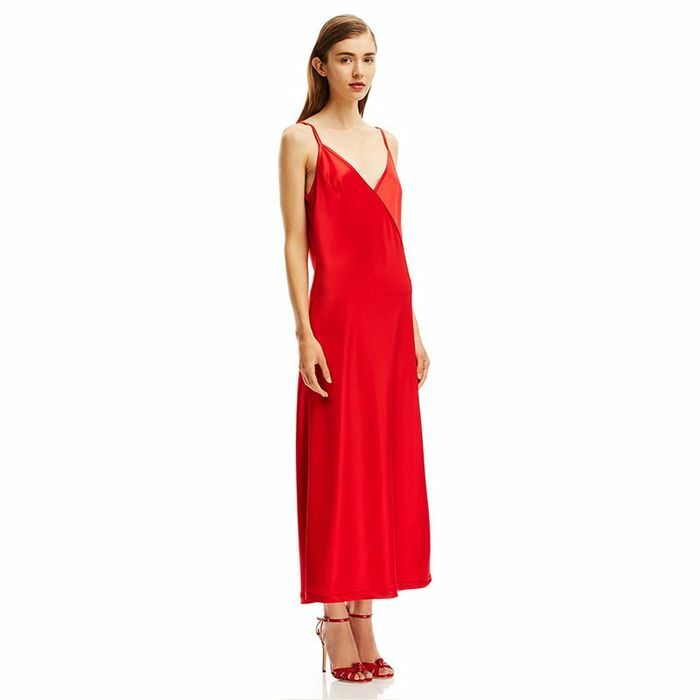 Off-the-shoulder dresses are obviously #trending, but if you’re looking for something more timeless, you can find sleek lines, midi lengths, and spaghetti strap slip dresses that’ll stand the test of time. We’ve put together our ultimate shopping list of bridesmaid dresses, proving that they’re way cooler than what they used to be. Whether you're looking for florals, lace, a block colour, or simple black and white, we found the best. Keep scrolling to check them out, and then pass this little bible onto your friends.